Our research shows that not to many householders, add their Solar Power investment, to the home insurance. 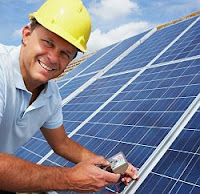 A Solar Power system in most cases is a considerable investment. It needs to be insured against theft, storm, lightning and hail stone damage along with third party damage. Before calling your household insurer, you may want to note the height of the building, the location of the inverter, panels orientation and angle of tilt, along with the cost of the system. All of these facts may be asked for by the insurer, as these will affect the risk of loss or damage. Your Solar PV insurance may be automatically included under the home's insurance, as it is fitted to the home. Often there is little or no adjustment to the premium. The Solar PV system does though, need to be listed on the insurance policy for it to be covered.